went 3-0-1 (ID with lands in last round cuz that's a rough one). rd 1: (T.E.S) Chalice on 1 and choke sealed the deal. After board adding thoughtseize helped make the deck more oppressive. rd 2: (Dredge) Not an easy matchup preboard and he overran me with zombies game one. After board things get a little better an an early scavenging ooze kept the graveyard clear of bridges. Game 3 he mulligan'd to 4 and some oppressive grave hate and a giant knight sealed the deal. rd 3: (Omni-Tell) One of the decks best matchups and these games showed why. Trinisphere and Chalice on 1 took it home wth a chalice on 3 in game two to seal the deal from bounce spells and errant show and tells. 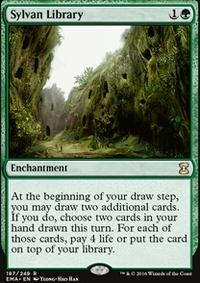 rd 4: (Lands) We decided to split .. and played some preboard games for fun. Of course he crushed me as Lands is one of our worst matchups.